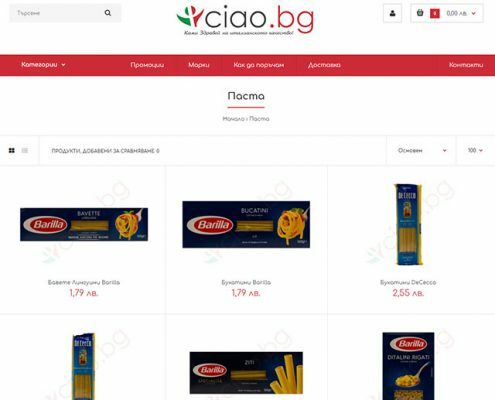 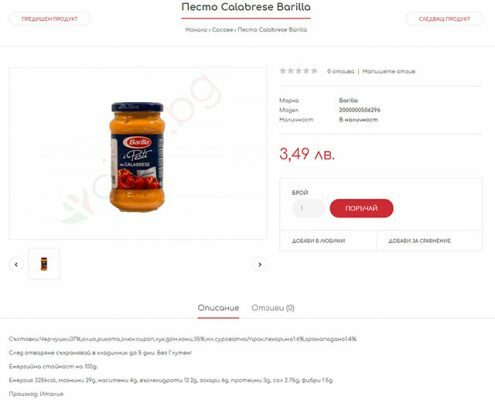 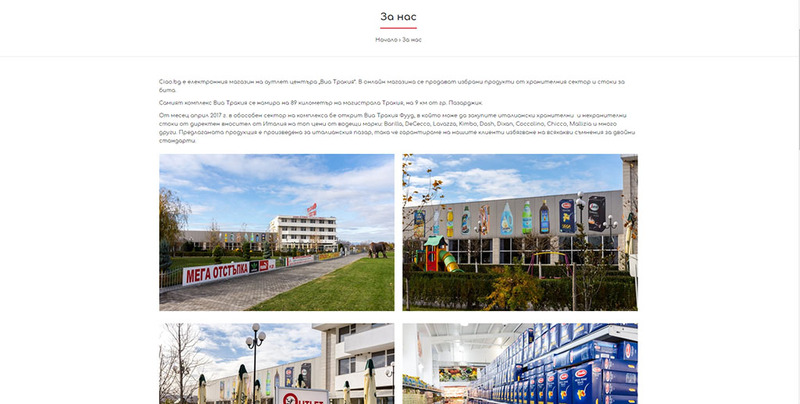 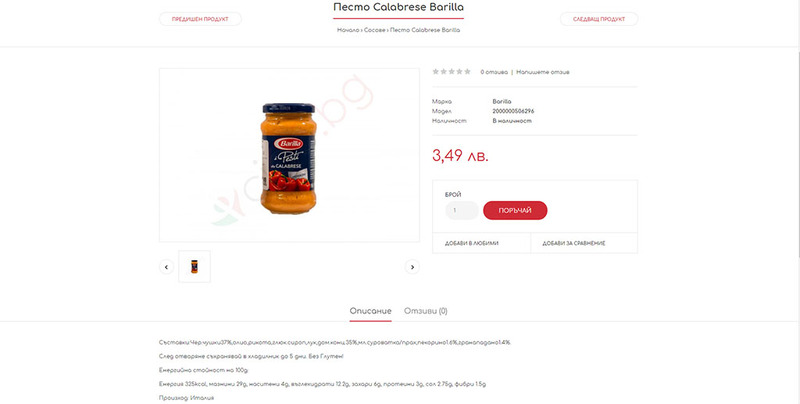 Ciao.bg is the e-shop of the “Via Trakia” Outlet Center, located at 89 km of “Trakia” highway, 9 km from the town of Pazardzhik. 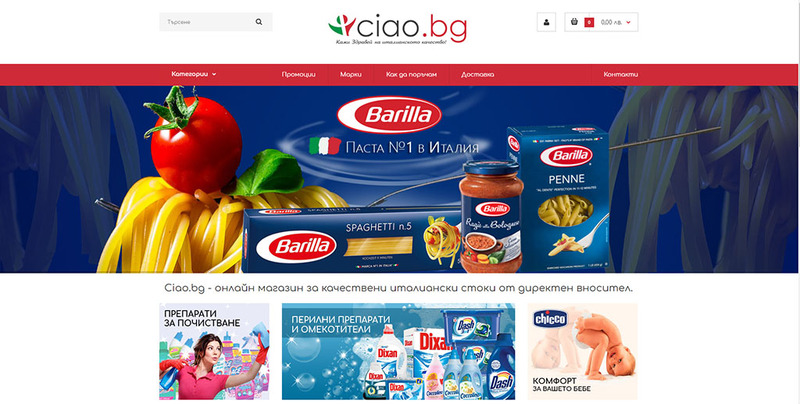 The online store sells selected products from the food and household goods sector. 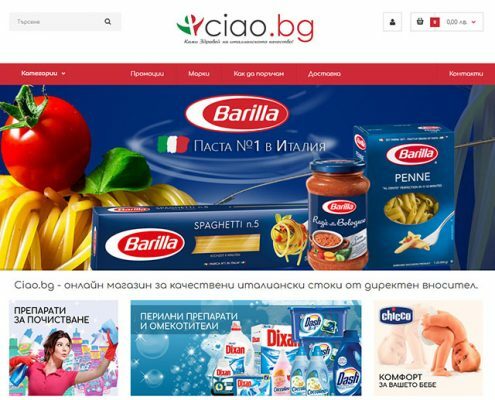 The complex is open from April 2017, where you can buy Italian food and non-food goods from a direct importer from Italy at top prices from leading brands: Barilla, DeCecco, Lavazza, Kimbo, Dash, Dixan, Coccolino, Chicco, Mallizia and many others. 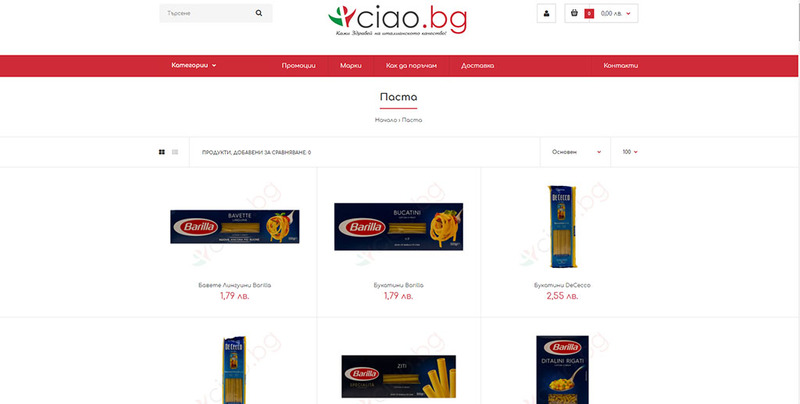 The output is produced for the Italian market, so we guarantee our customers avoid any doubts about double standards.